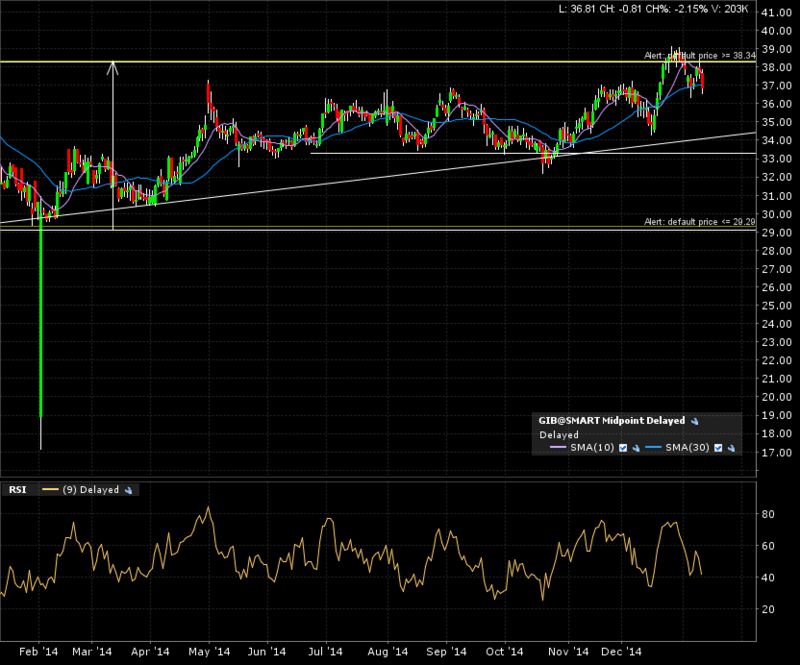 CGI group Inc. testing upper resistance for an eventual breakout? CGI group Inc. (NYSE:GIB) has been testing/consolidating near some major resistance around the 38 mark since mid 2013 (over a year and a half). My alerts are set. 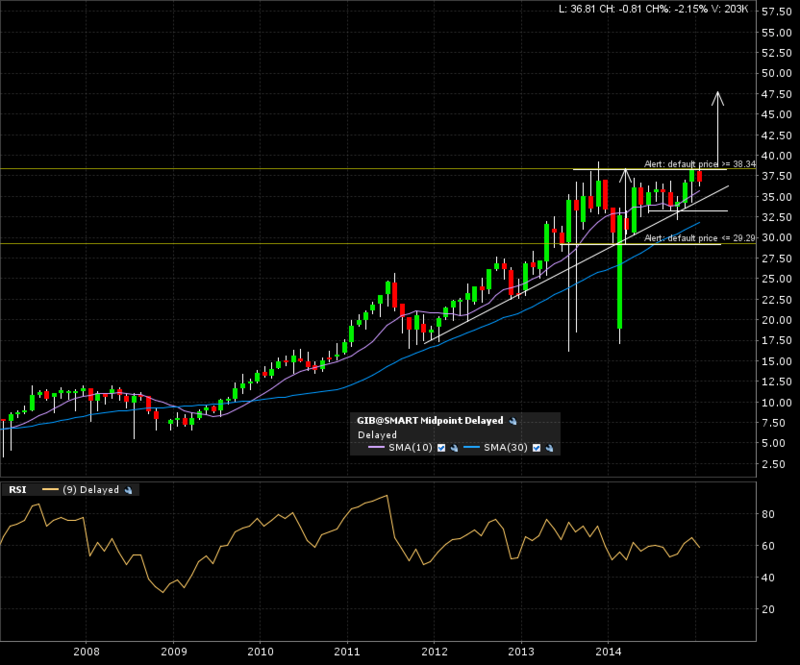 I’ll keep watching this closely for a decisive close on the monthly candle chart above 38.50. 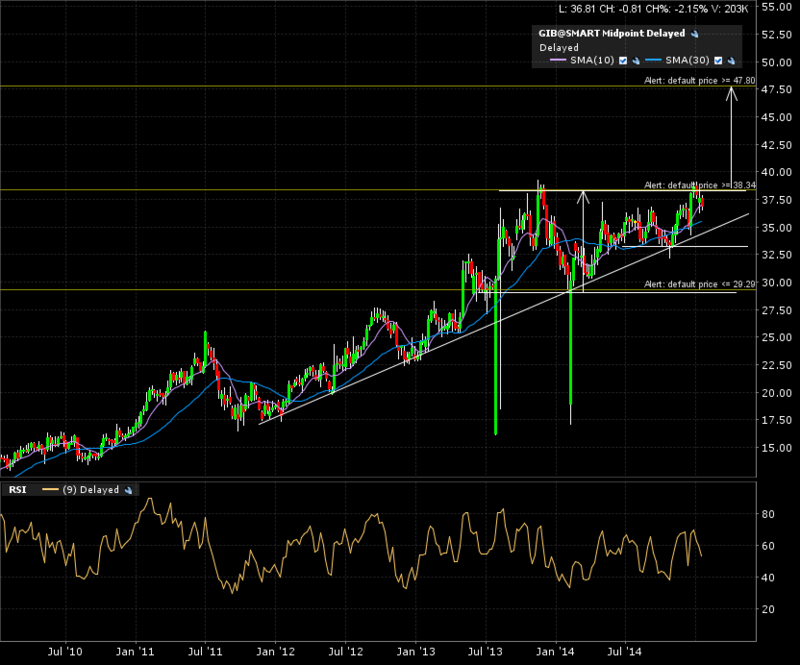 Immediate target would then be a measured move to 47.80. ← Continuing with eurusd to demonstrate risk and money management.